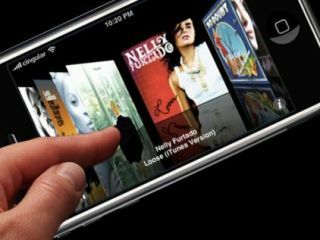 Apple may put up a fight against Nokia in order to stop it from infringing on Apple's 200 touchscreen patents featured in the Apple iPhone, an analyst predicted today. Nokia plans to introduce a touchscreen Symbian S60-powered multimedia phone next year to take on the Apple iPhone. This might not go according to plan, analyst Richard Windsor of Nomura told MarketWatch.com. "I think Apple will likely view Nokia as infringing on its user interface patents," Windsor said. This could mean 'delays or holdups' in Nokia's smartphone strategy. He added that the two firms are more likely to reach an out-of-court agreement rather than risk facing a lengthy court battle.